Summer is the perfect season for the classic boho wedding. 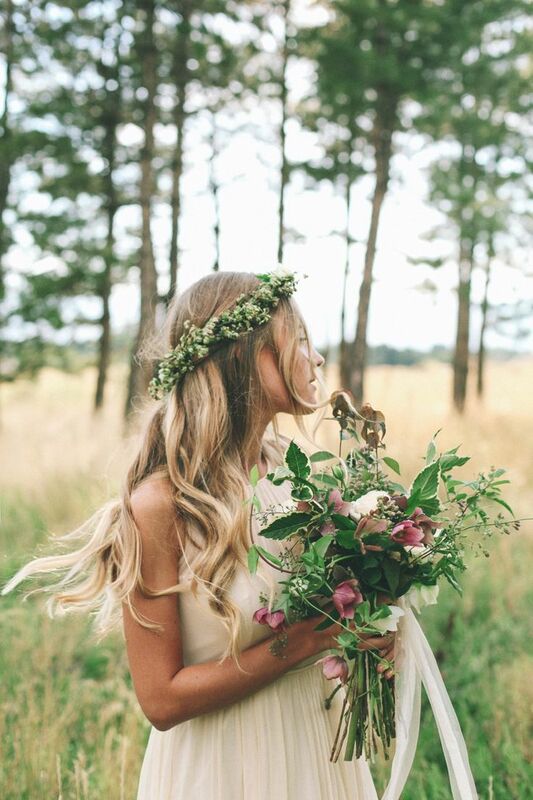 Whether you are going for the full alternative feel, or simply adding a few flowers in your hair, the boho trend is perfect for the casual and light-hearted wedding theme. And what bridal beauty essential captures this bohemian atmosphere? You and your hair do. Before planning your beauty look make sure that whichever hairstyle, and possible accompanying accessories, you choose are cohesive to the ambiance of your wedding and complementary to your dress, face shape, and hair texture. If you're channeling Kate Middleton, don't overdo it with Kate Moss. Find a happy equilibrium like Lauren Conrad. Think: does this accessory clash with my dress? Do these flower pieces coordinate with my bouquet? Veil, or no veil? 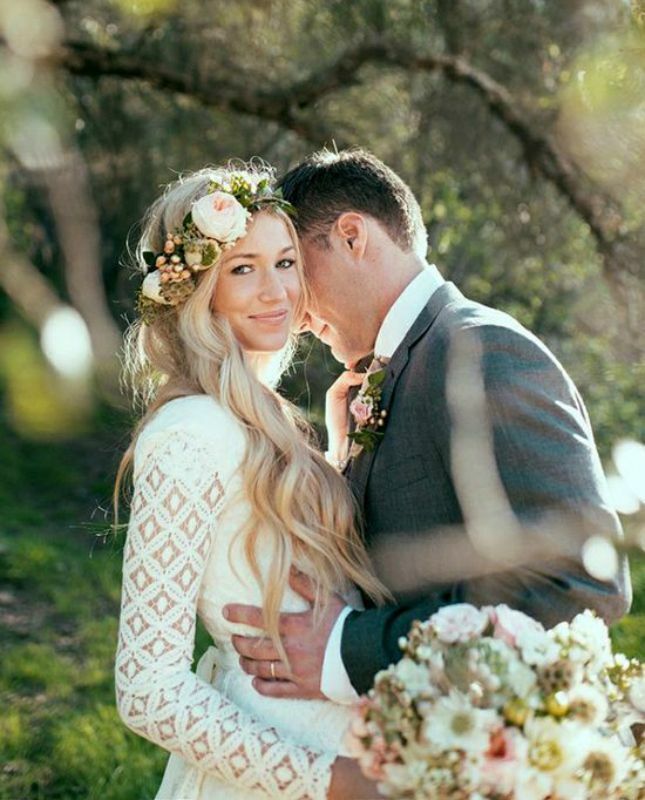 The quintessential boho wedding wouldn't be complete with out the flower crown and loose curls. Perfect for brides rocking the long sleeves. Make sure to find fresh, seasonal flowers that enhance the colors in your hair, make up, and bouquet. Think: light pink and ivory cosmos, lilies and daisies. Finish the hippie look by being bold and going for the middle part! Feeling the pressure to strict to tradition and ignore the trend? Merge them! 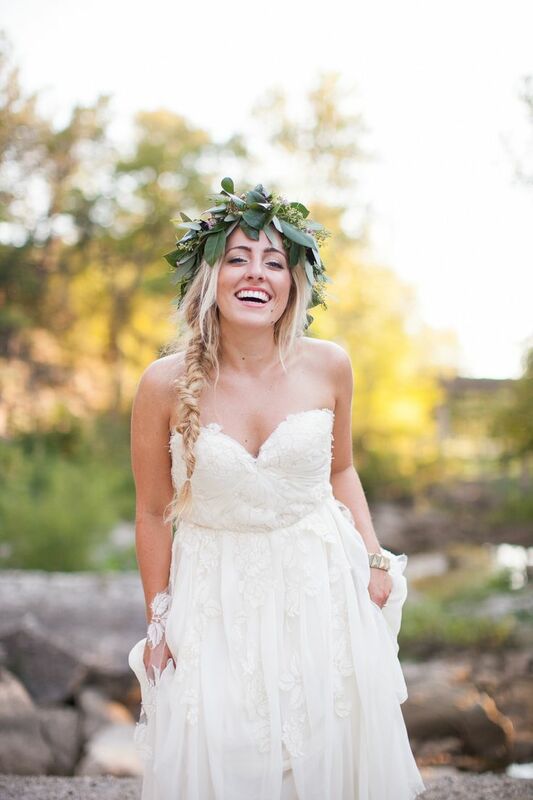 The flower crown veil is one of the most beautiful and au natural looks a bride can embody. 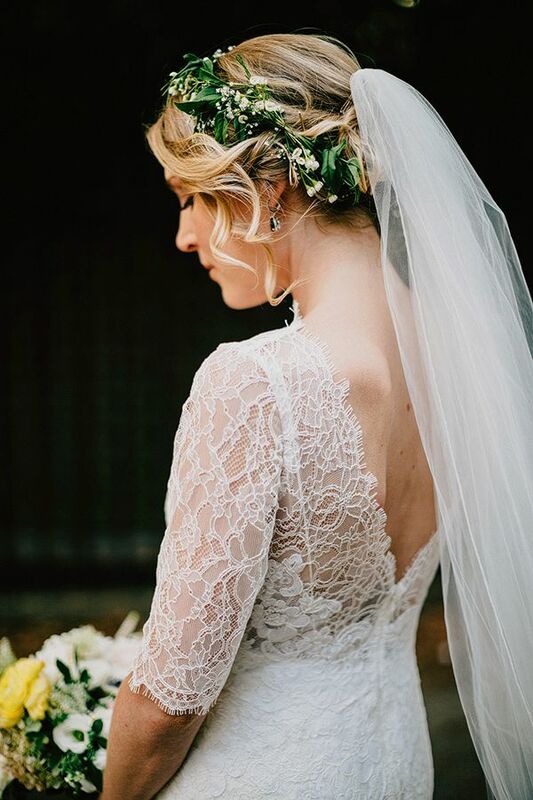 Show off your creativity and incorporate the flower crown into any style of veil that speaks to you. Not your childhood pigtails, the braided fishtail is a chic and unique hairstyle for the alternative bride. Wear it as a low pony, to the side, or add it into your updo! However, fishtails are tricky and definitely complicated. Be sure to do a "hair-rehearsal" before your ceremony to sort out any unwanted knots or kinks. TIP: splurge on a professional! Crown, accent, wreath, you name it and baby's breath will shape it! 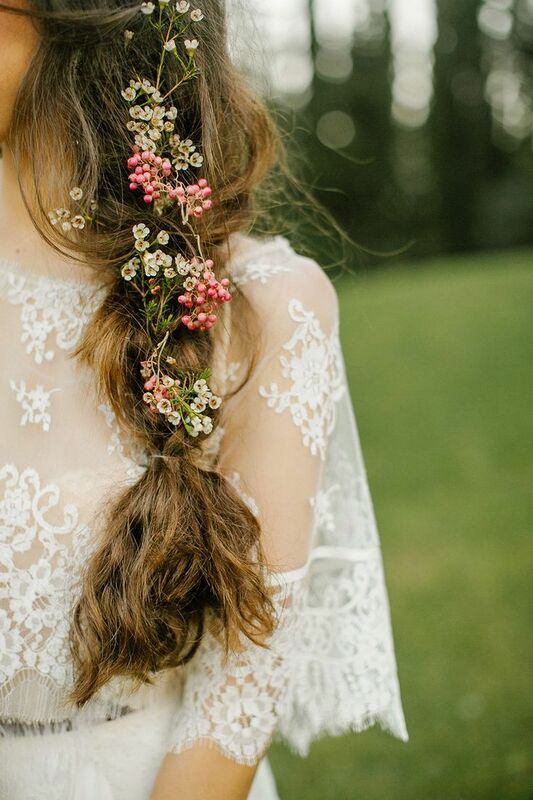 From backyard bashes, to forrest elopements, baby's breath is the perfect hairstyle accessory for any type of wedding. Incorporate the flower into a soft bun, small braids, or style it as its own headpiece to emulate the graceful and delicate bridal look. The floral side sweep blends whimsical romance with the alternative, boho trend. Concentrate your flowers to one side and try making the soft bun as loose as possible to create a glowing and carefree bridal style. Ribbons are a creative and inexpensive accessory to add to your boho hairstyle wigs. Whether tied into ringlet bows, or acting as unique-styled veils, ribbons encompass the DIY feel into the boho atmosphere. 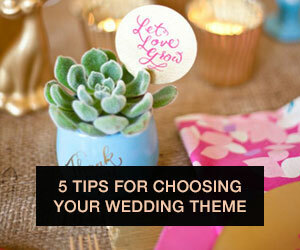 TIP: tie your ribbons into the rest of your décor to perfect your wedding theme. Similar to ribbons, light flower accents into your braids give your bridal hairstyle creativity. Make sure both the style of the braid, and the size of the flowers do not overpower the dress or your bridal make up. Perfect for the bride looking for a little boho and a lot of glam. Headpieces are the tiaras of boho chic and are great for darker haired brides looking to give off a little pop and glitz. Check out fashion websites EPLOVE and Bo + Luca to shop through dozens of gorgeous and stunning headpieces. Looking for something a little less glitz and floral, but still queenly? Try the crown braid. 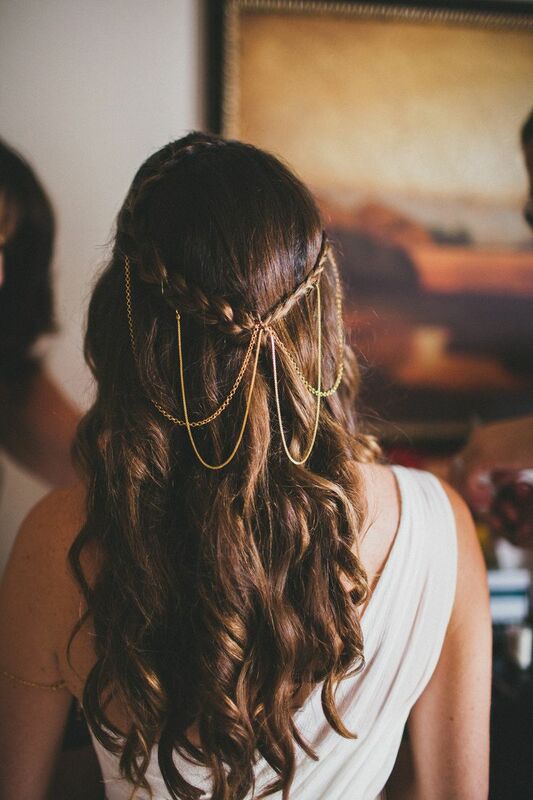 One of the biggest trends of 2015 bridal beauty, the crown braid is as à la mode as it is complicated. Like the fishtail, go for the professional and be sure to do many run throughs! Hairstyle? Check! Now go check out more bridal beauty tips for some bold and gorgeous wedding make up ideas!